Editor’s Note: This post was originally printed on MyBestLDS. It is reprinted here with permission. At the upcoming general conference in October, members of The Church of Jesus Christ of Latter-day Saints will almost certainly be sustaining  new members of the Quorum of the Twelve Apostles. As much as members will joyful welcome these new leaders, it’s preceded by the bittersweet sorrow of saying goodbye to our dear Elder L. Tom Perry and President Boyd K. Packer, [and most recently Elder Richard G. Scott] who passed away in May, July [and September] of this year, respectively. Just as it is this October, Church members are usually anticipating the calling of a new apostle. However, when Elder Neal A. Maxwell was called to the Twelve, it was a complete surprise. 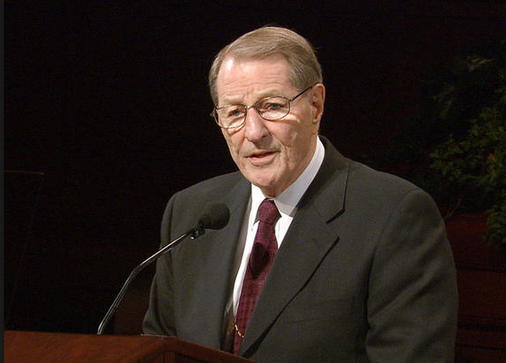 Enjoy this sweet story of Elder Maxwell’s calling to the Holy Apostleship. Thank you for this. What a great behind-the-scenes recap. I had forgotten Elder Maxwell was called to fill President Hinckley's seat. I always enjoyed hearing his soft-toned voice and the pictures he made with his words.